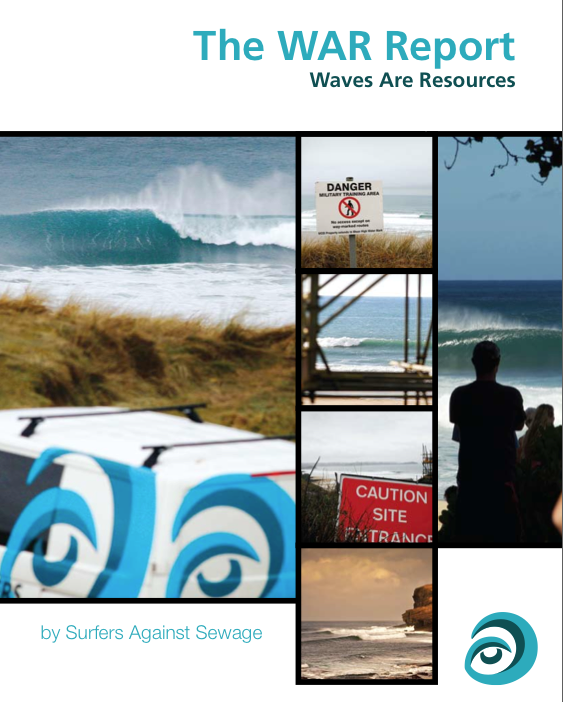 Surfer's Against Sewage released a new report called "Waves are Resources (WAR)". The comprehensive report covers the basic physics of wave formation and breaking, efforts to value waves, activities that can impact waves (structures, dredging, pollution, oil spills, sewage, etc. ), emerging efforts to generate power from waves and some of the efforts to protect waves, including World Surfing Reserves.